Popular SEO tool Ahrefs has announced that they want to take on Google directly by building their own search engine. Ahrefs founder and CEO Dmitry Gerasimenko revealed the news in a huge Twitter thread, in which he criticised Google and other major online companies for not doing enough to help content creators and to address online privacy concerns. Dmitry says Ahrefs have decided to act on this for two reasons. First of all, they want to improve privacy in much the same way as DuckDuckGo, a search engine that turns a healthy profit without using user data to power ads. Ahrefs also want to share the profit with publishers that create the content that populates search results pages, with Dmitry proposing a 90/10 split in favour of online content creators. 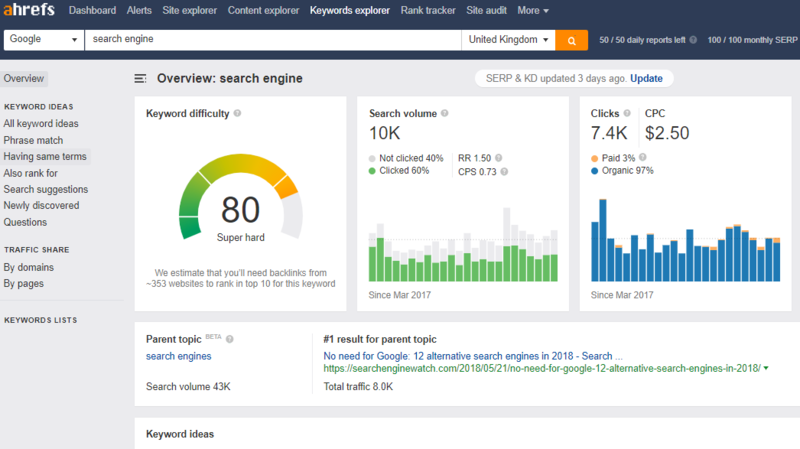 It may sound like a wacky idea, but Ahrefs has years of experience in crawling and indexing the web – and obviously have a lot of hard-earned insight into how search works and the impact of ranking factors. It’s an ambitious plan, but as they already have a sizeable audience of content creators in the shape of their current subscribers, it’s certainly an interesting concept and we’re looking forward to learning more about their plans.